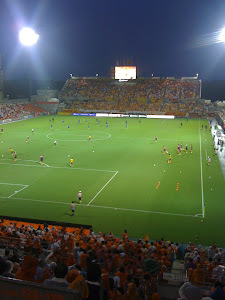 On May 19th 2012 9,304 fans turned up at the Nack5 to watch the Squirrels take on Kawasaki Frontale. I haven't seen anything of this game, so consequently there's not much to say except - we lost! 2 second half goals from Frontale finished us off. Kawasaki's goals took a while coming, but when they did, like the proverbial buses, 2 turned up in 5 minutes. Oshima got the first goal on the 67th minute and Kusukami bagged the second on the 72nd minute. A disappointing result for Ardija fans that left us looking down the table at results elsewhere and hoping that Nigata, Sapporo and Gamba would continue to their poor run of form and save the Squirrels' skins. It is of course quite sad that we have to rely on others' failures to keep ourselves alive in the J1 division. Fans of course are hoping for signs of progress but they seem pretty thin on the ground under the leadership of Jun Suzuki. Next up for Jun Suzuki and his battle-weary troops would be a difficult trip to Shizuoka to face Jubilo Iwata, who on the same day we lost to Frontale, hammered second from bottom Albirex Nigata 6-1 away. Worrying times for Squirrels fans.